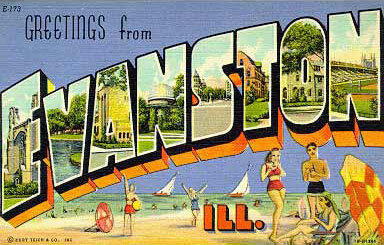 marah – Greetings from Evanston, Ill. I work with a lot of folks who are very good at getting sounds right. They work hard at capturing a sound, at turning the sound into data in the optimal ways, at transforming that sound from the data to something your ears can accept in the manner that seems the most direct and real. The folks I work with are very good at this effort because they work very hard at it. When their very hard work is successful, they are not only very good at their jobs but also very happy. So, the following two Marah videos make my night. Marah has remastered their Kids in Philly masterpiece — one of my desert-island albums — for vinyl, the album’s first-ever LP pressing. In the song Catfisherman, a listener hears the sound of a spinning fishing reel. It’s a beautiful sound, one you only notice after a few listens, but upon noticing, you memorize. Here, Marah’s brothers Bielanko listen to what I assume is the remastered track, and Serge talks a little about getting the sound right. Just a little. The videos are mostly listening and being happy. The sound explains the rest. The movie is apparently getting closer. Cool trailer. Marah teamed up with the York County (Pa.) Parks Department to put one of the band’s new songs, The Old Riverman’s Regret, to video. The result is beautiful. And tells a good story. And makes you want to visit. Free ft. Emile Sande, Rudimental. Lucinda Williams, Something About What Happens When We Talk. Beyonce, Get Me Bodied. On the place back from SXSW, I watched The Kings of Summer (enjoyed it more than I thought) and a beat heard briefly during one scene made me think of this song. The beat turned out to be a different song. But still. I’d argue songs can make your day by mistaken identity. Marah, Sing! O Muse of the Mountain, live at Jammin Java. Here’s a beautiful song, The Old Riverman’s Regret, the first full-song look at Marah’s Mountain Minstrelsy, arriving in just two weeks. The band says this song is the quietest on the album, and I could play it over and over again.